Description: Abbotsbury Swannery is the only place in the world where you are able to walk through the heart of a colony of nesting Mute Swans and from mid-May to late June, hundreds of fluffy cygnets hatch from eggs in nests on or near the pathways. Mass Feeding sessions daily - 12.00 & 4.00pm. 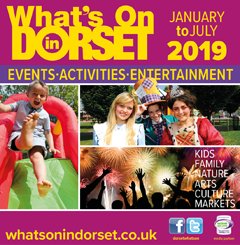 Adult	£8.50 per ticket Child (5-15yrs)	£5.50 per ticket Child Under 5	Free Concession	£8.00 per ticket Please let us know you saw us on What's On in Dorset!